Rock and roll was born in the United States during the 1950s. Its popularity rapidly grew, spreading across the Atlantic to England. The Brits transformed rock, bringing it back to the States in a new form with the British Invasion. 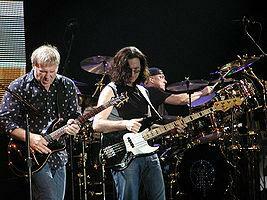 Since that time, the two countries have dominated headlines and histories, in terms of rock music. What's often forgotten in these histories is the evolution of Canadian rock and roll during the same period. Over the years, a huge contingent of Canadian artists has made invaluable contributions to rock and roll. The list of innovative Canadian artists is quite impressive: Neil Young, Joni Mitchell, Paul Anka, Arcade Fire, The Band, Bryan Adams, Rush, Leonard Cohen, Celine Dion, Diana Krall, Gordon Lightfoot, Sarah McLachlan, Alanis Morissette, Tegan and Sara, Feist, Nickelback, and many others, not to mention the all-star producers, such as Daniel Lanois (U2, Bob Dylan, Peter Gabriel), Bob Rock (Metallica, Aerosmith, Bon Jovi), Bob Ezrin (Pink Floyd, Alice Cooper, Kiss), and David Foster (Michael Jackson, Celine Dion). The history of Canadian rock and roll is a lively, entertaining, and largely untold tale. Bob Mersereau presents a streamlined, informative trip through the country's rich history and depth of talent, from the 1950s to today, covering such topics as: Toronto's club scene, the folk rock and psychedelic rock of the 1960s, Canadian artists who hit major stardom in the United States, the challenges and reform of the Canadian broadcasting system, the huge hits of the 1970s, Canadian artists' presence all over the pop charts in the 1990s, and Canada's indie-rock renaissance of the 2000s. 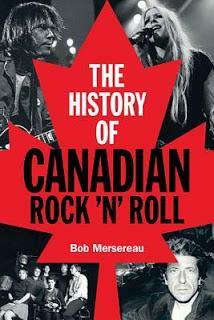 The History of Canadian Rock-n-Roll by Bob Mersereau is a 2015 Backbeat Books publication. I was provided a copy of this book by the publisher and Netgalley in exchange for an honest review. When we think back on the history of Rock-n-Roll, I think it is probably fair to say that most people think of America and Britain as the primary source from which this music came to us. I confess that I was familiar with many of the artist featured within these pages, but Canada's influence on rock music is much more powerful than I had ever thought, however, the American public, in my opinion, is largely unaware of it on a conscious level. So, while the widespread praise and respect for these musicians is not ignored exactly, it has been rather muted in many cases. 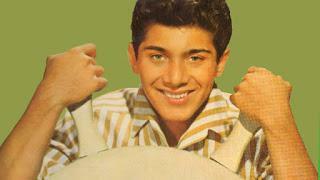 The 1950's also brought us Paul Anka, a teen idol, who is still influential today. During the sixties and seventies country, blues, and folk influences allowed rock-n-roll to penetrate Canada. 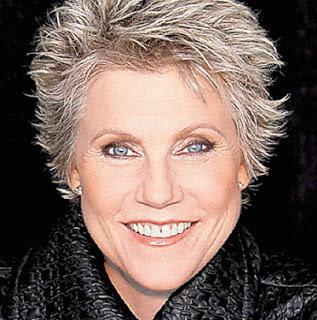 Neil Young, Joni Mitchell and The Guess Who were probably the most recognizable names here in the US, but there were many others such as Anne Murray and Gordon Lightfoot who enjoyed massive success, not only in Canada but in other countries as well. One of the biggest issues facing Canadian rock and pop musicians was the lack of interest by the radio stations in promoting them locally, which prompted an exodus to the states where they found a lot more support. “Canadian bands were leaving because record companies and radio were not interested in them. 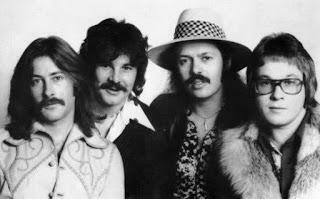 And things went from bad to worse in 1968, as that year saw only seven Canadian songs reach the national top 40 the entire year, including Steppenwolf's two US – fueled number ones. 'Born to be Wild' and ' Magic Carpet Ride' and a pair by popular TV folk act, The Irish Rovers, 'Whiskey on Sunday' and 'The Unicorn Song'. Once someone caught on that Canadian artist needed local support the doors blew off the hinges. Canada's contributions began to gain support from music studios and radio stations feeding the starving fans who were practically rabid for local talent. From that point on Canadian's gained more and more traction musically and have made monumental contributions to the rock and pop genres. While I recognized many names because these artist were every bit as popular here as they were at home, there were quite a few names I didn't recognize. I was furiously typing in names on Google and You Tube looking up these bands or artist. So, this book has led me to the discovery of some awesome talent I never would have encountered otherwise. This book sticks to rock music, but opens the door for pure pop or in some cases “crossover” hits and touches on 'New Wave' a little later in the book. The author takes us through events chronologically, spending a little time with each artist mentioned, some more than others, and also gave credit to the many people behind the scenes that helped Canadian musicians garner success and long over due respect and recognition. The amount of talent touched on here will blow your mind and the author most certainly knows Canadian rock history. The book is very informative and interesting, moved along at a comfortable clip, not sticking to one artist or era too long, nor going into too much boring minutia. While that is a good thing with performance arts or musical history books, it can also be a bad thing. I do think the pace, at times, was little harried and felt rushed. There was a lot of ground to cover there and the author managed to cram it into less than 300 pages, if that tells you anything. The truth is, I knew little or nothing of Canadian rock-n-roll history, so this book peaked my interest in a way many other books about rock history has, which is why I wish it had been just a bit more meatier. This list in just an example. There are many more you will know, others not so much. It was the ore obscure names I found interesting, but there are stories told here about big name acts I had never heard before, so that was also very enlightening. The history of this country's musical roots, influences and major contributions to rock and pop music is a fascinating journey. I think this book is important, as it remind us that Canada has the talent to challenge the US and Britain with their star power and influences, they just haven't always been given the respect and praise they deserve. 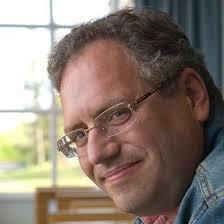 Nicknamed Rockin' Bob,Mersereau is a music columnist and longtime arts reporter for CBC Television in New Brunswick. [ Since 1982, he has been a reporter on the East Coast music scene for CBC Radio, CBC Television.